If you know a Canadian who is doing good work in the field of human rights, the Canadian section of the International Commission of Jurists (ICJ) wants to hear about it. 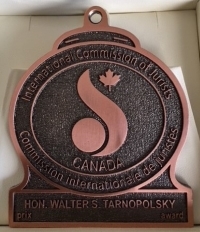 ICJ Canada administers the Tarnopolsky award, which was named after Canadian legal scholar, judge and human rights advocate Walter S. Tarnopolsky. 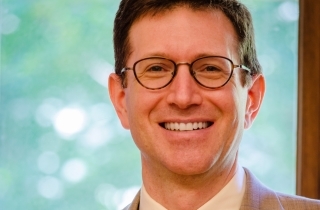 According to chair of the Tarnopolsky award nominating committee and ICJ Canada board member Gib van Ert, the organization wants to increase the number of nominees it receives. “Walter Tarnopolsky was a pretty remarkable ahead of his time Canadian lawyer from Saskatchewan originally who ended up on the Ontario Court of Appeal. 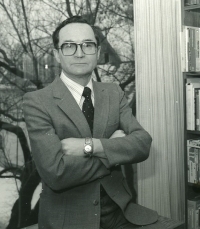 He was a human rights scholar and advocate in the 1960s and 1970s. Long before the Charter, he was the person who wrote the authoritative book on the Canadian Bill of Rights, which is a forgotten human rights instrument that was really an attempt at a step forward for Canadian law in its day. The award was established shortly after he died to commemorate him and to recognize human rights advocates who were continuing his work,” said van Ert. The award, which consists of a medal and a small monetary honorarium of $1,000, is handed out yearly. Recent winners have included former Supreme Court of Canada justice Louise Arbour in 2015 and Sen. Murray Sinclair in 2017, but there are lesser known recipients as well. 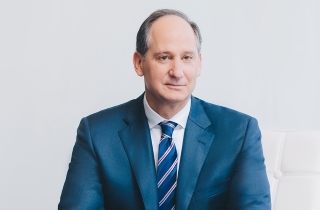 Every third year, the nomination committee has the directive to select somebody whose career is “up and coming” said van Ert, who is also the executive legal officer with the Supreme Court of Canada. Because of the mandate to recognize lesser known human rights advocates, any nomination submitted stands for three years, so that even on years when people aren’t eligible to win, they still have the opportunity in subsequent years. 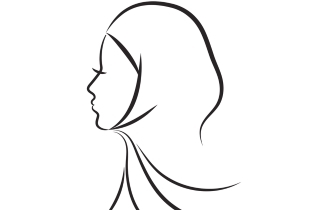 In order to be eligible for an award, the person must be a Canadian working on human rights advocacy or scholarship either in Canada or abroad. Nomination forms are available on the ICJ website and any nomination must be accompanied by two letters of support. The nomination deadline is April 30. The objective of the ICJ is to promote the rule of law and the independence of the judiciary to recognize and denounce human rights violations and to promote human rights and the rule of law. Historically it has been involved in drafting international binding and non-binding agreements to do with human rights issues establishing the rule of law in countries around the world.